As my husband and I get more settled into our new place, we like to think about the different kinds of furniture and decor we'd like. I'd really like some new dishes and mugs. 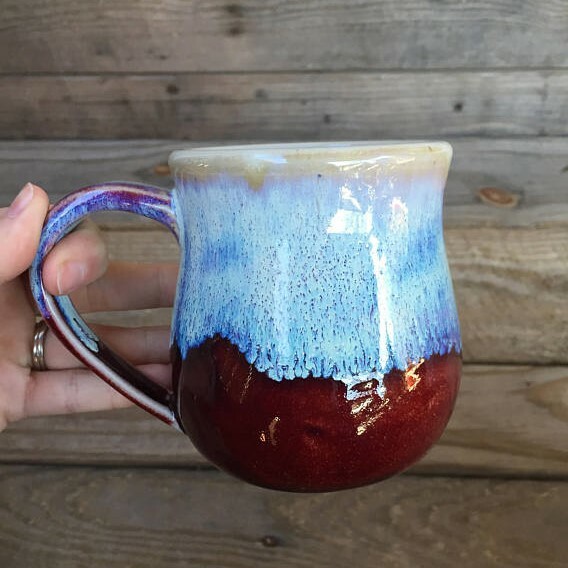 And while I love girly, chic dishware; I also gravitate towards more traditional handmade stoneware, like the blue mug from Rebecca Martin Pottery, pictured above. 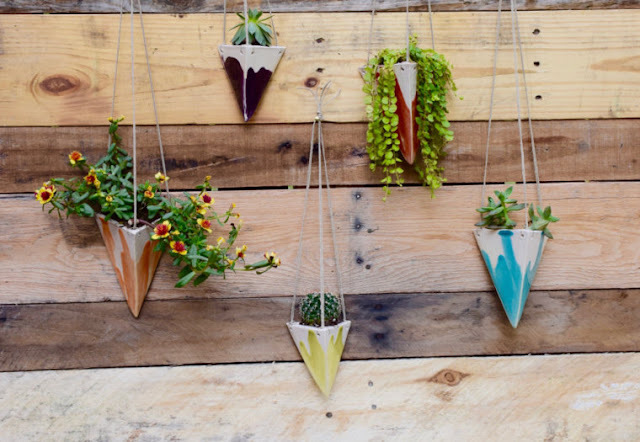 At Rebecca Martin Pottery, however, you can also find some modern pieces, including some chic ring dishes and the modern geometric hanging planters pictured above. Check out the whole range of Stoneware Planters, and bookmark the shop for later as well. You'll want to come back around Christmas time to browse the handmade Christmas ornaments! You can add a personalized message to any product, and you can request gift packaging too. There are many different mugs to check out, so be sure to use the link below to browse this shop! 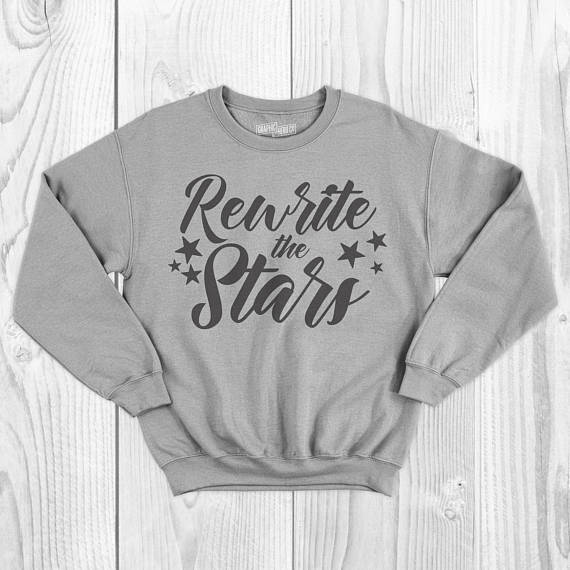 If you're in the mood to shop for fashion, it's a good time to get a cozy sweatshirt! That darn groundhog is giving us six more weeks of winter. But that is okay, as long as I'm inside where it's warm and cozy. You can shop for a comfy and cute sweatshirt, like the one pictured above, at Bellus Design Co. This Greatest Showman Crewneck Sweatshirt is also available in a tee and comes in different colors. I really love several products there, as they're inspired by things like Hamilton and Game of Thrones. My favorite is this wine bag with the phrase I Drink & I Know Things. Whether you want a tee or a cute comfy sweatshirt, you can take 15% off anything now through February 19th! Happy shopping! This next find was inspired by a new Pinterest board I created this week for Modern Farmhouse Decor. The home decor trend is the most popular for 2018, and I love it. Ken and I do love modern decor as well, and we really love elegant and traditional; but I feel like modern farmhouse is a nice blend of traditional and modern. 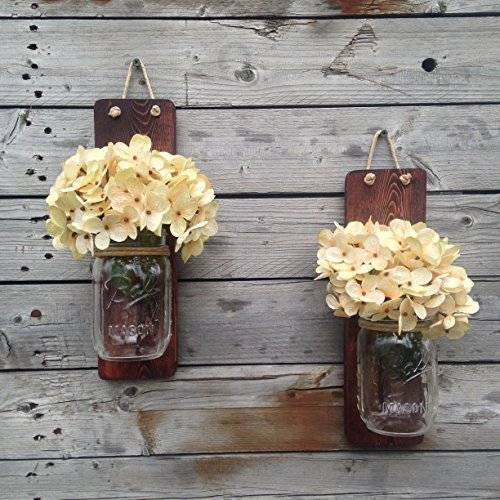 At Tennessee Wicks there are many different versions of this Rustic Mason Jar Wooden Sconce Set. I love how these sconces look with fairy lights inside the jars. It's the sort of things I tend to think "I can make that myself," but when on earth am I actually going to make these myself? I need to just buy a few! This next shop Picketfence Pastimes initially caught my eye with these pretty essential oil bags. What a great way to store and carry all of those essential oils. While Picketfence Pastimes mostly carries Essential Oil and makeup bags, you can find other small accessories there, as well as hand-crafted kitchen accessories like hot pads and dish towels. My top pick however, would have to be one of the box style makeup bags. They look so big and roomy and come in the cutest patters! I like to keep all of my makeup and a few toiletries in the same bag whenever I'm traveling, but I don't always have room for my large hanging organizer. 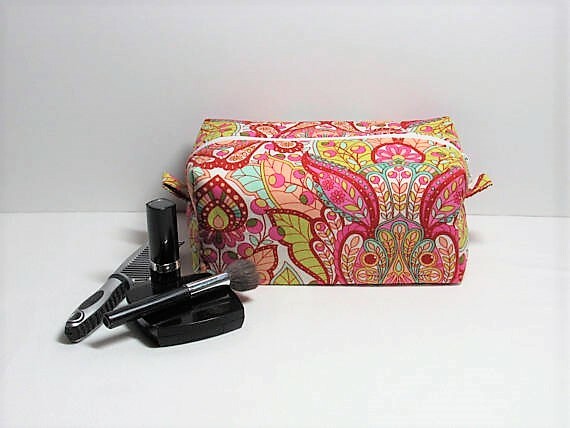 The makeup bags at Picketfence Pastimes look like the perfect size for all of my travel beauty items! Last but not least, here is another pick for the home. My husband and I keep talking about building up our herb and spice collection. We both like to cook, and definitely need some items to store ingredients in. 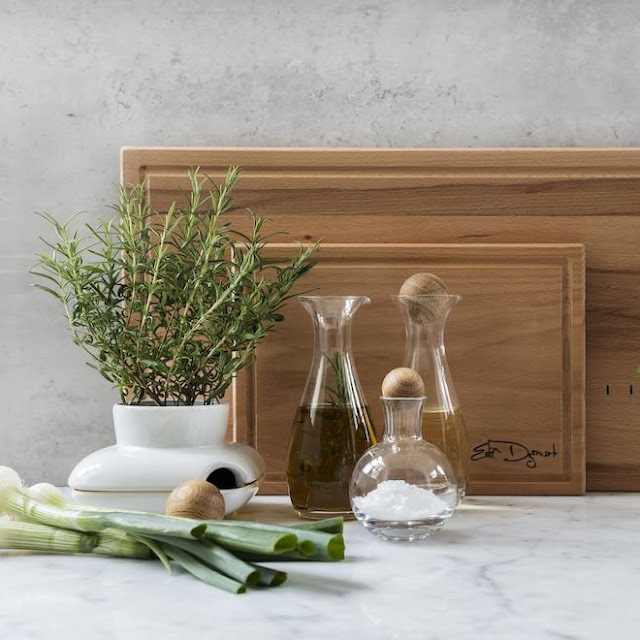 I'd love to start with these cool Sagaform Sipce/Herb Storage Bottles by Sagaform. They remind me of a modern wine carafe, so they'd blend right in with our current wine decor. Sagaform has so many unique and modern finds for the kitchen, like this Modern Heb Pot. If you're a fan of modern decor, be sure to check out this shop! I truly hope you all had a good week. Whether you want to shop for some home goods or treat yourself with some fashion products, you are sure to find something you like here. Use the links below to browse each of the featured shops, and have a great weekend! I like that stoneware mug.